The real estate industry has evolved in a lot of ways over the past couple of years. Non–stop technological innovations, shifting consumer tastes, and dynamic property markets make it imperative that real estate professionals keep up with the latest trends in the field. Inman – Inman is a news outlet providing the latest trends in the real estate industry. They publish daily articles on their blog by writers coming from several industries. It’s the go–to blog for real estate agents, brokers, and homebuyers who want to stay up–to–date on the residential real estate market. Here, readers can find timely and informative content on topics that include social media management, email marketing, SEO, and more. 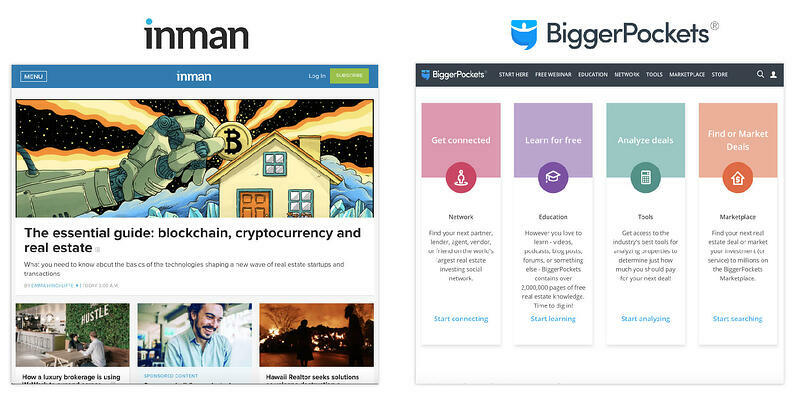 BiggerPockets – BiggerPockets is a social network and information hub that provides in–depth articles and tools for anyone looking to advance their career in real estate investment. Investors, lenders, and professionals in both commercial and residential real estate markets are sure to connect through the platform. With a growing community of over 1,000,000 members, readers will probably find relevant content and valuable tips related to housing, mortgage, and property management. Redfin – Redfin understands the importance of variety in content. The company regularly posts articles on their blog. Also, readers can explore the website to view housing trends analyses, editorials, and insightful infographics containing key information about buying, owning, and selling a home. Their team of professionals share relevant experiences from the field. They cover anything from interior design inspiration to celebrity homes, from simplified housing market updates to real estate business on Wall Street. BoomTown! Blog – From the different technologies used to ways on how to grow a real estate team, the BoomTown! Blog is just flowing with valuable information about the industry. Every single member of the team has relevant experience, so you’re 100% sure they know exactly what they’re talking about. Especially important are their tips on lead generation, which could help you get a head start if you’re struggling a bit in the real estate business. Housing Wire – Housing Wire’s frequently updated blog has a wealth of information about the nitty–gritty of becoming (and remaining) a successful real estate professional. Topics include: fraudulent activities to remain alert about, financing do’s and don’ts; the impact of technology on various aspects of real estate transactions, property trends throughout the United States, and much more. RISMedia – RISMedia has been in the playing field for quite some time now. Their blog has been regarded as a definitive source of real estate news and information for realtors who want to gain a competitive advantage in the market. 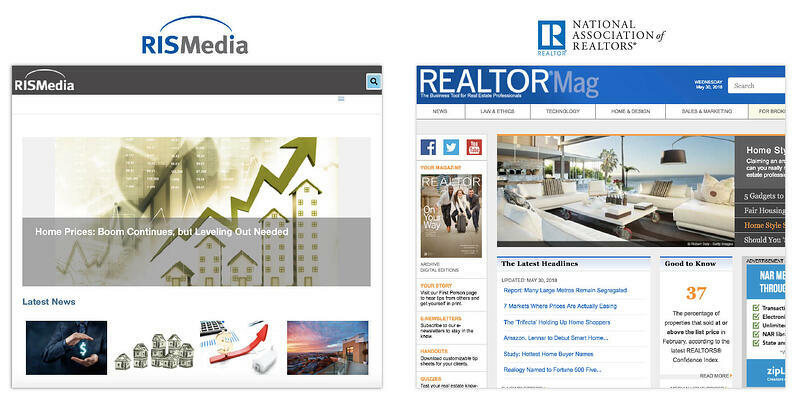 RISMedia features a wide array of content by real estate executives, including breaking news, social media guides, best marketing practices, tutorials, and broker surveys and reports. Realtor Magazine – The Realtor Magazine tags itself as “the business tool for real estate professionals”, and looking at their content, anybody will say that they’re living up to their promise. It is the official magazine of the National Association of Realtors and talks about diverse topics like real estate technology, law and ethics, sales and marketing, home and design, and everything else a realtor needs to thrive in the business. Agent Image – Excellent branding is crucial for every business to succeed. 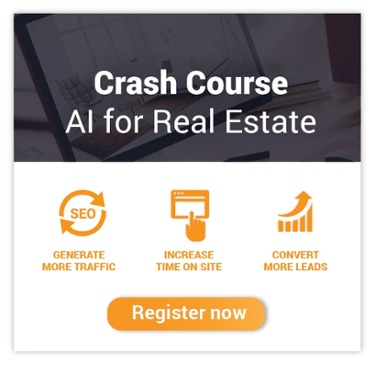 This is what drives Agent Image in providing web development, lead generation, and other online marketing services to real estate entrepreneurs. Their blog features reviews, tips, quick guides, trends, and innovative ideas that cater to every real estate professional‘s marketing needs. Matrix Blog – This is the ideal information hub for professionals searching for in–depth content to delve into. Miller Samuel Inc.’s Matrix Blog provides recent developments in a digestible format on the latest national housing and fiscal reports. It’s a must–follow blog for anyone interested in how a country’s fiscal well–being impacts home sales and mortgage applications.